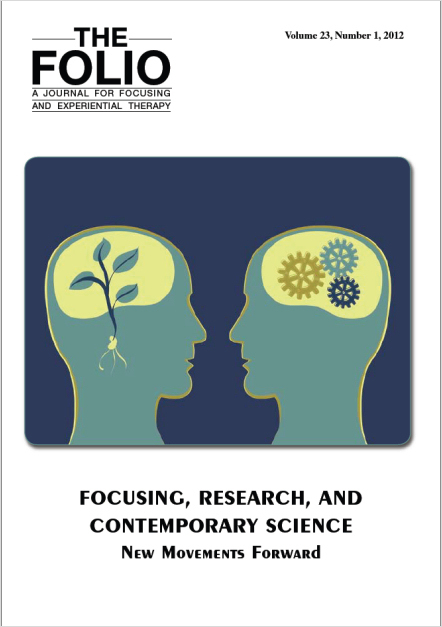 Crossing Focusing and Science, this issue is packed with wonderful articles including unexpected discoveries in Physics and Epigenetics, Neuroscience and Focusing, Focusing-Oriented Therapy and recent findings about brain plasticity - and - a wonderful article from our founder Eugene Gendlin. To order the FOLIO please click on the box below that says: Choose FOLIO 2012 pricing. After you have selected the number of copies you want, please click on the "Confirm Selection" button. To get started, please click on: "Choose FOLIO 2012 pricing"